Sterling Sports Management had its genesis within a highly regarded law firm in Columbus, Ohio which began representing professional athletes from various sports in the late 1990’s. As the number of athlete clients grew, it provided the opportunity to establish a separate sports management agency that would be managed by lawyers but could offer a full array of services that were designed to meet the unique needs of its athlete clients. Today, Sterling Sports enjoys the reputation as one of the very best sports agencies in the world. We have one of the largest golf practices in the world and includes clients who have won more than 65 PGA or LPGA tournaments including 10 majors. Sterling’s growing baseball and football divisions include starters on many major league teams. Our primary goal is to build and manage the brand and business of each client with a view to their long-term prosperity. The following sampling of services are provided with that in mind: negotiation, review and drafting of contracts, arranging endorsement agreements and public appearances, establishing & executing public relations strategies, arranging charity affiliations, media coordination and promotion, design and execution of corporate events, travel services and introductions to reputable and proven financial advisers, accountants and other professionals. Knowledge, integrity and responsiveness are the hallmarks of Sterling Sports. But, the thing that truly distinguishes us is the level of professionalism of our people. Our agents are professionals who may well be the most qualified in their fields. After all, our athletes are among the best in their respective sports. They should expect their agent to be just as qualified in their field. Jeff founded Sterling Sports Management in 1997 when it became clear that representing professional athletes was becoming an ever-increasing part of his legal practice. In addition to his business law experience, Sterling’s clients benefit from the broad and valuable set of skills Jeff obtained from his earlier experience as a successful entrepreneur. Jeff serves his sports and entertainment clients in areas such as contract negotiation, marketing, and public relations. In addition, the strength of his relationship building skills has helped him secure hundreds of sponsorship and endorsement opportunities for the firm’s athletes. Jeff is also known for being innovative and thinking “out-of-the-box” to bring non-traditional companies and brands into the sports sponsorship arena. Jeff received his Bachelor of Arts degree in History from The Ohio State University and his Juris Doctor from Capital University. Jeff is married with 3 children and is active in his community in many ways including coaching youth soccer, advising the Young Life Campaign and serving at his church. Joe came to Sterling Sports Management in 2006, after a successful 9-year run as Vice-President of Stronghold Athletic Management. Prior to becoming an agent, Joe was a decorated television and radio sports reporter and executive producer. Joe won two Emmy awards for reporting excellence as well as a “National Reporter of the Year” award from the Associated Press. Joe runs Sterling’s baseball division and his responsibilities include contract negotiation, marketing, public relations and recruiting. Joe played collegiate baseball at Ball State University and received his Bachelor’s degree from the University of Cincinnati in 1991. Joe has also coached high school baseball at his alma mater, Reynoldsburg, near Columbus, Ohio and also scouted for the Florida Marlins. Joe currently lives in Cincinnati, Ohio, along with his wife Emily and children Caitlin and Lindsey. Joe is a member of St. Anne’s Episcopal Church where he has served as Senior Warden, Chair of the Search Committee and Fellowship and Recreation Director. Justin focuses and consults on all things football for Sterling’s football practice. Justin’s understanding of the NFL’s financial model, salary cap and player contract provisions under the Collective Bargaining Agreement stems from his experience working as a salary cap administrator in the National Football League. Justin has published various literary works on the financial structure of the NFL and the player compensation model that governs all player contracts. This understanding helps Sterling maximize its clients’ earnings potential. Justin relies on the relationships he formed while working in the National Football League to equip Sterling Sports with the professional connections and information necessary to benefit Sterling’s football clients on and off the field. He believes hard work, personal relationships and uncompromising integrity is the key to succeeding in any industry. In the community, Justin is involved with the Columbus Bar Association’s Sports Law Committee and Hope For The Warriors. In his free time, Justin enjoys visiting his family, traveling, running, skiing and spending time with his wife Bryn, their daughter Emmerson, and their dog Bailey. Jason Childers joins Sterling Sports Management after a 13-year professional playing career. After graduating from Westside high school in Augusta, Ga, Jason Attended, and graduated from South Georgia junior college, in Douglas, Ga. There, he was an all-region pitcher, and named to the state all-tournament team. Then, Jason went to Kennesaw State University, where he became the South Atlantic Region pitcher-of-the-year, and first team All-American in 1996. That season Jason went 12-0 on the mound, including a complete game shutout in the NCAA Div II national championship game. After the 1997 season, Jason began his professional career with the Milwaukee Brewers. He was with the Brewers organization for over six years before spending time in the Montreal Expos, Atlanta Braves, Chicago White Sox, and Tampa Bay Rays organizations. Jason led the Midwest league in ERA and made multiple All-Star teams in the minor leagues. In 2006, Jason made his Major League debut on opening day in Baltimore with the Tampa Bay Rays. He also has experience playing multiple seasons in winter ball in Mexico, and Puerto Rico. In 2009, Jason was a member of Team USA and played in Europe in the IBFA Baseball World Cup. USA won the gold medal by defeating Cuba in the championship game 10-6. Jason is married to Stephanie, and they have twin daughters, Kylie, and Laney. They are members of the First Presbyterian Church in Douglas, Georgia. Justin joins Sterling Sports Management through a business collaboration with Global Golf Management. 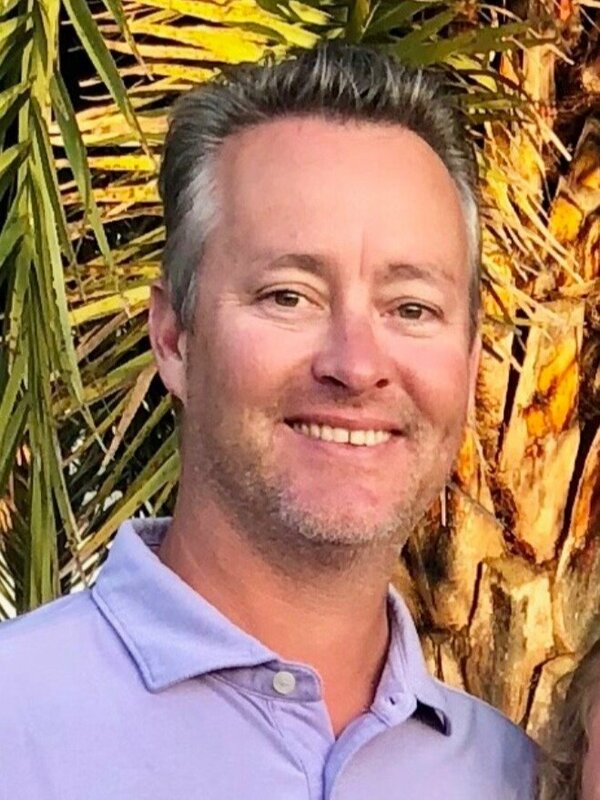 As an employee of the newly formed Global Golf Management, Powered by Sterling, Justin will become the Tournament Director for the Suncoast Classic - a newly announced Web.com PGA Tour professional golf tournament beginning in 2019 in Lakewood Ranch, FL. Justin will oversee the full operation of the tournament and associated events, including business development, marketing, operations, and community engagement. Prior to his move to professional golf, Justin worked in professional baseball for the Pittsburgh Pirates, Tampa Bay Rays, and Boston Red Sox. Justin received his undergraduate degree from the University of Florida and remains an avid Florida Gator fan. Justin resides in Bradenton, FL with his wife, Carley. In his free time, he enjoys playing golf and tennis, spending time on the water, traveling, and going to concerts. Ayla was first introduced to the world of professional golf when she began an internship with the Memorial Tournament in 2014. What began as an opportunity to gain public relations experience evolved into a three-year career with HNS Sports Group. During that time, she assisted with social media management, event and reception planning, player communication, marketing and advertising, volunteer coordination and financial accounting in addition to public relations. As an undergrad at The Ohio State University, Ayla worked for Ohio State Athletic Communications as a writing intern. She later graduated in 2015 with a Bachelor of Arts in Strategic Communication and Professional Writing. Most recently, Ayla spent time in the aviation industry working for Wheels Up as the new-hire training director for their Member Services department. Ayla and her husband Colin live in Dublin, Ohio, where Colin coaches high school and club soccer for boys. The two enjoy leading Younglife at Dublin Coffman High School, spending time with their many siblings and watching soccer together. Pat brings 24-years in the revenue side of broadcasting and network sports sponsorships to Sterling Sports as well as sports administration and technology. A lifelong love of learning led him to earn multiple bachelor’s degrees from The Ohio State University and a passion for justice and small business advocacy drove him to earn his Juris Doctor from Capital University Law School while attending part-time in the evenings. The son of two educators — one a superintendent and one among the nation’s very first special education teachers — principles of compassion, advocacy, and integrity are in his DNA. Pat enjoys golf, any kind of live theatre, backpacking on the Appalachian Trail, and playing ice hockey. However, he says his wife of 33 years and their two adult children, along with two spoiled Golden Retrievers are the best parts of his life. Emma joins Sterling Sports Management through a business collaboration with Global Golf Management. As part of the newly formed Global Sterling Group, Emma will become the Tournament Services Manager for the Suncoast Classic - a newly announced Web.com PGA Tour professional golf tournament beginning in 2019 in Lakewood Ranch, FL. As a veteran to PGA TOUR events, Emma will oversee the Tournament Services operations of the tournament with focus on the volunteer program, player & caddie activation, sponsorship fulfillment along with Pro-Am activation and community engagement. Previously, Emma worked for the PGA TOUR focusing on Tournament Services areas for many global golf events. With relocation on the west coast of Florida, Emma is looking forward to supporting a new event, the Suncoast Classic in its inaugural year. Emma resides in Venice, Florida with her husband Brian. In her free time, she enjoys traveling and any outdoor sports, whether participating or watching.